Kamailio (OpenSER) v3.1.0 is out – major release with impressing number of new features and improvements. 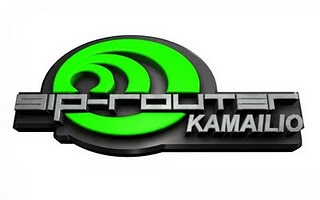 On October 06, 2010, Kamailio (OpenSER) 3.1.0 has been released – this release is a result of more than 8 months of development from the teams of Kamailio (OpenSER) and SIP Express Router (SER) projects. Backed up by a solid development group, we are proud to announce that this release brings a large set of features, many for first time on the SIP server market, such as asynchronous TLS, UDP raw sockets, embedded HTTP and XCAP servers, embedded Lua, configuration file debugger. All together, there are over 15 new modules and countless improvements to old components. Since last major release (version 3.0.0, which was out in January 10, 2010), the two SIP servers, Kamailio and SER, are practically the same application, the name making the difference regarding the database structure and the extensions used for certain features, such as user database based authentication or location service. Therefore another development direction was towards smooth integration of Kamailio and SER extensions, previously duplicated modules such as auth, sl, ratelimit or sms were merged during this development cycle.